Available with a Gu10 socket, our 3-inch Flex LED systems are built with flexibility and the environment in mind. 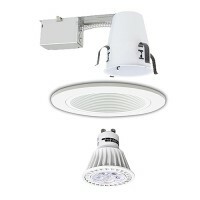 Most integrated systems like LED prevent you from replacing the light source when it fails. You have to throw the fixture away and hope you find an identical replacement to match your existing lights. Think of the replacement time and costs; not to mention what it does the landfill and your sanity. With our Flex LED recessed lights you simply untwist the failed light bulb and replace it with another bulb all the while keeping the exact look and feel of your existing recessed trim. Talk about easy and worry free. 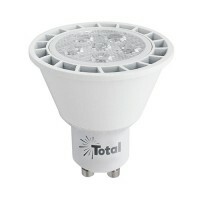 This is the most flexible option that will adapt to changing technologies allowing the light bulb to be easily replaced. Will I be able to find my integrated LED recessed light in 3 years, will the color match and will the warranty still be available from the store I purchased it from? Do I want the option to change my light bulb to better technologies, a different beam spread or color temperature in the future? 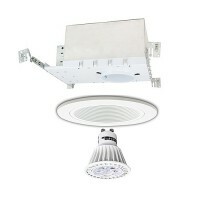 Am I truly helping the environment by purchasing integrated LED recessed lights?